This is the University of California at Berkeley, the finest public university in the world. You are all upper-middle class or upper class–if not in the size of your parents’ houses in your options and expections–and thus much richer than the average taxpayer of California. Yet, even at today’s reduced funding levels, the taxpayers of California are spending $10,000 a year subsidizing your education. Why are they doing this? Because they believe that if your brains get crammed full of knowledge and skills than many of you will do great things that will redound to the benefit of the state, the country, and the world. Therefore it is my business to cram your brains full of knowledge and skills. 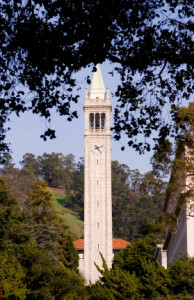 It is then your business to go out and try to do great things–and if those great things happen to involve a lot of money, remember the investment that the poorer-than-you taxpayers of California made in your education, and pass some of the resources you will earn on to your successors here at Berkeley. This entry was posted in Uncategorized on August 24, 2009 by lance. I’ve seen lots of people writing about Personas, a project by Aaron Zinman at MIT Media Lab. Enter your name and it scans various search databases to see how the Internet “sees” you. For some reason “sports” is the largest segment on my profile, followed closely by “domestic”, “online”, “social” and “professional”. Whatever any of that means. I have no idea about the rigor of the analysis, but Personas in action is one of the more beautiful things I’ve seen recently on the Web. This entry was posted in Uncategorized on August 21, 2009 by lance. Sensible people in Britain seem shocked — shocked! — that right-wing liars in the US are spreading lies about the National Health Service. In my 27 years in the UK I had consistently excellent healthcare, so I’m a big fan of the NHS. I know that a single-payer system, to say nothing of a massive government bureaucracy for health, isn’t remotely on the agenda in the US, but the American misunderstanding and fear of the NHS is absurd. Fortunately, today’s Guardian has two helpful articles sorting truth from lies: Is public healthcare in the UK as sick as rightwing America claims? and America’s right turns its fire on the NHS. They’ve also put together a nice spreadsheet of comparative data on health in different countries. There doesn’t seem to be a way to embed the spreadsheet so have a look over on Google Docs. Update Ezra Klein has more. I missed the Twitter storm on this. This entry was posted in Uncategorized on August 12, 2009 by lance.